Considering the amount of debt that Americans are carrying these days, you would think that we’d all be credit experts. Not so. In fact, most people don’t know the difference between good debt and bad debt, and what it means for their financial future. With easy access to debt like credit cards, loans and lines of credits that act as an extension of their income; people are spending more but their incomes aren’t rising at the same rate. Over the past 25 years, debt has become an accepted way of life. That’s not to sound all doom and gloom – not all debt is bad debt. It may sound like an oxymoron, but having a moderate amount of good debt in your life will actually have a positive impact on your finances. Read on to understand the difference between good and bad debt, and where your student loan fits in the grand scheme of all things debt. What Type of Debt is Good Debt? In the financial world, "good debt" is used to finance something that will increase in value over time. A classic example is a mortgage. You take out a mortgage to buy a house with the thought that in 20 years, when your mortgage is paid off, your house will be worth at least twice the purchase price. It is seen as an investment. Another example is a student loan - an investment in your financial future. The theory is that going to college will help you to earn more, and the debt will pay itself off over time with your lucrative career. When taking out a student loan, your goal should be to be to maximize the return on investment by selecting a path of education that leads to a large salary to lower your debt. Going back to mortgages: remember that when you buy a house, the collateral for the loan is your house. So, what is the collateral on your student loans? Your future earnings. A post-secondary education does not guarantee employment, so you need to be cautious not to take on too much good debt at the start of your education. After graduation you need to become gainfully employed to begin paying off that good debt or it can quickly spiral out of control, causing you to miss monthly payments and turning good debt into bad debt. Failure to pay your student loans will lead to the government garnishing your future wages and your tax returns to repay your “good” debt. Your takeaway point: pursuing a degree that doesn’t have a high ROI just isn’t worth going into debt over. You want to steer clear of “bad debt,” if possible. Unlike a student loan or mortgage, this type of debt does not increase in value over time. Debts like car loans, credit cards and any other form of avoidable debt are all considered bad debt. Think of it this way: you want to buy a brand new a new car so you take out a high interest car loan to pay for it. The minute you drive your new car off the lot, it significantly decreases in value. By the time you pay off the loan, you’ve paid thousands more on top of just on the interest - for a car that’s now worth less than its original purchase price. This might not be what most people want to hear because it takes time and patience, but putting aside a small sum of money each month to eventually purchase what you desire in cash instead of with loans or credit cards will help you avoid these types of bad debts. Fortunately, debt consolidation is a way for borrowers to reduce their payments on these loans – good or bad. Debt consolidation is a financial tool used by people from all walks of life, not just those struggling to pay their bills. People use this tool to lower their monthly payments, get a better interest rate, or just free up cash for other bills and investments. In many cases, the damage to a credit score is minimal or non-existent. For debt consolidation to work, a person must start by listing out their debts, along with the monthly payment, interest rate, and the total amount owed. Using this list, the professional debt counselor can find a loan that will pay off these debts. Ideally, this loan has a lower interest rate and a longer payment term than the loans it is being used to pay off. This means that the new payments for this loan will be less each month than the total of the payments of the loans that it is replacing. 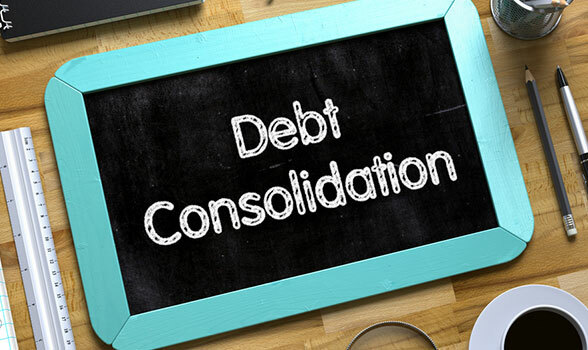 Even for people with “good” debt, debt consolidation can be used to improve financial health. Consolidating student loans is the most common example. Often, private student loans come with a variety of interest rates and payment schedules; it is not uncommon for a typical graduate to have a different loan from each semester of study. 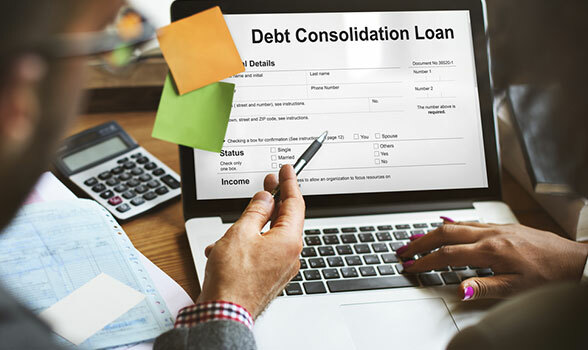 Rather than trying to keep up with these payments and adjusting interest rates, a consolidation loan combines all the loans into a single monthly bill. Furthermore, by extending the payment terms of the loan (for example, choosing a 20-year payment term instead of 10 years), it’s possible to reduce the monthly loan payments by half or more. If you're having trouble paying your student loans now, but expect to have a higher income in a few years, debt consolidation gives you the flexibility you need. Throughout your lifetime you will inevitably be thrown a curveball (or three) where you will need to borrow money. Understanding the difference between good debt and bad debt can make a big impact on your long-term finances and ensure you don’t become financially sidetracked by that curveball. The bottom line is that you should try to avoid – at all costs – incurring more debt than you can pay back comfortably over the lifespan of your loan, regardless of whether it is good or bad debt. Use loans as tools to increase your quality of life through education or other future investments - but don’t abuse them. For more information, read our reviews of student loan consolidation providers.